Figs are intertwined with the culture and history of the Middle East and Mediterranean Europe. There are references to the fig tree in Biblical passages, descriptions in Greek and Roman mythology and writings, and evidence today of Arab fig cultivation in the Iberian Peninsula. The sweep of Arab culture into North Africa and southern Europe advanced fig cultivation in the Mediterranean to an even greater degree, especially in Portugal and Spain. During the age of European exploration, figs were introduced to the West Indies and ultimately to California where today they grow in the Central Valley. Red River purchases our figs from Turkey because of their large, superior quality. The county’s fig production is centered in the western Izmir and Aydin regions. Figs are enjoyed as a sweet, chewy treat as well as used extensively in baking, desserts, snack bars, and jams. 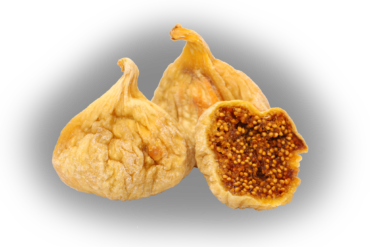 Dried figs are high in potassium, vitamin K, calcium and magnesium.